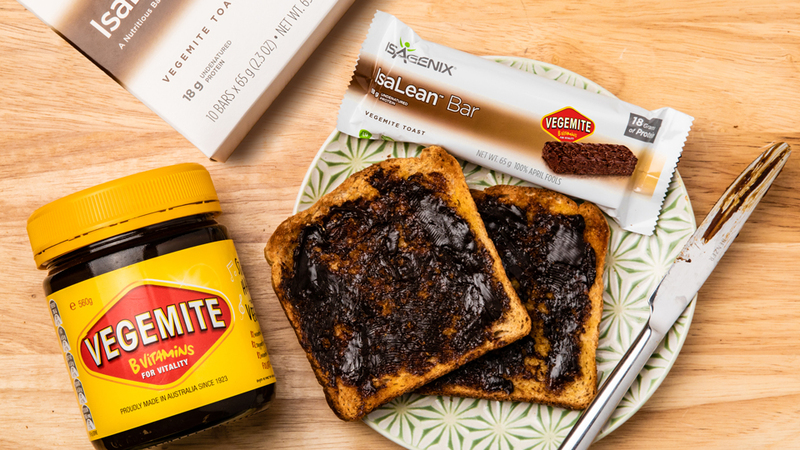 Say hello to the new Vegemite Toast IsaLean Bar! You would be a fool to waste time waiting for the toaster to pop, or to evenly spread the Vitamin B goodness while your toast goes cold when you can grab an IsaLean Bar to start your day. Packed with 18 g of protein, the new Vegemite Toast Bar will turn the most important meal of the day into your favourite. It’s almost too good to be true… that’s because it isn’t.